Gain an understanding of the current state of labor law and how to use those insights to develop successful labor strategies. With the appointment of several new National Labor Relations Board (NLRB) members and a new NLRB General Counsel, labor laws are in flux. This program will provide employers in the construction industry with insights regarding the current state of labor law and how to use those insights to develop successful labor strategies now and in the future. Topics addressed will be focused on construction industry concerns and will include picketing and bannering, enforcing arbitration clauses, the application of the construction industry exemption contained in Section 8(f) of the National Labor Relations Act (NLRA), the joint employer doctrine, the single employer doctrine, and drafting enforceable workplace policies. What Is a Lawful Picket? What Is an Unlawful Picket (Secondary Boycott)? How Does Bannering Differ From Picketing? 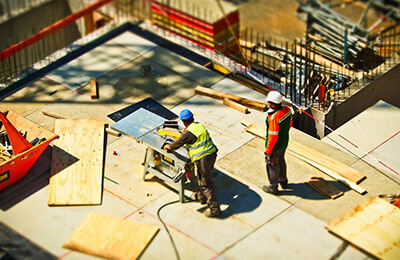 What Does the State of the Law Mean From a Practical Standpoint for the Construction Industry? What Are the Differences Between Employers Under Each Section? How Is It Applicable to the Prime Contractor/Subcontractor Relationship? How Can an Employer Avoid Becoming Regarded as a Joint Employer of Another Entity's Employees? Under What Circumstances Can Two Related Entities Be Treated Like a Single Employer by the NLRB? How Does the NLRB View Double-Breasted Operations, Where a Unionized and Nonunion Entity Are Subject to Common Ownership or Control? What Should Construction Companies Keep in Mind When Establishing, Acquiring, or Maintaining a Double-Breasted Operation? Why Is the NLRB Concerned About Employers' Workplace Policies? What Are the Standards Applicable to Workplace Policies, and How Have They Changed in Recent Years? This live webinar is designed for attorneys, construction and project managers, owners, presidents, vice presidents, accountants, accounting professionals, human resource managers, contractors, subcontractors and engineers.